Note: Please read carefully this User Agreement. This User Agreement constitutes and regulates terms and conditions of access to and use of website www.schalipharma.com (hereinafter – «Website») and is a legally binding contract between User and Company. By signing up through Website or Application, User agrees with terms and conditions of this Agreement. Waiver of terms and conditions set out in this Agreement implies no access to and no use of Website. SCHALI® Group AG (hereinafter – «Company») set out terms and conditions of User Agreement that is posted on our website https://www.schalipharma.com/documents/user-agreement-en.pdf. Any person who desires to be a User in sense of this User Agreement is free to accept this Agreement. The person who has accepted this User Agreement has to accept terms and conditions of Privacy and Confidentiality Policy posted on our website https://www.schalipharma.com/documents/privacy-en.pdf. «Company» SCHALI® Group AG is a legal entity with a legal representation in the Principality of Liechtenstein. Legal address: Am Buel 1, Mauren, 9493, Liechtenstein (Am Bühel 1, 9493 Mauren Liechtenstein). «Personal profile» Number of safeguarded webpages of Website, which are available to User after User has signed up and logged in through Website. «Healthcare Specialist» Person who provides advice on quality characteristics and use of SCHALI® products in conformity with instructions for use to those products. Relations between Healthcare Specialist and Company are regulated in Cooperation Agreement. «Privacy and Confidentiality Policy» Rules of use of any information posted on Website. Privacy and Confidentiality Policy is posted on our website https://www.schalipharma.com/documents/privacy-en.pdf. Privacy and Confidentiality Policy constitutes an integral part to this Agreement. «User» Legal entity or physical person that/who has signed up through our Website and that/who is capable of using System in accordance with our rules, terms and conditions. «Website» Number of information, data, graphs, designs, pictures, photos, videos, and other proprietary products, software, services, applications, features, which enable proper operation and use of Website: www.schalipharma.com. «Services» Proprietary software that is available to User in Personal Profile and enables easy use of System. «Advice» Advice and other related advisory service provided by Healthcare Specialist to User through Services of Website. «Products» Number of sale units or a sale unit manufactured by Company, data of which are posted on Website for the purpose of sale. «User’s account» Number of User’s personal information and data that are saved and stored in System and that are necessary for User’s identification and access to User’s Personal Profile and settings. «Access to User’s account» Personal identification login data (mobile phone number or email address, and password) that User submits to Company during login and that enable User’s identification and access to User’s Personal Profile. «Terms and Conditions» Rights and obligations set out in this Agreement and Policy as well as in other rules and policies of Website that regulate use of Website, Services and Advice, Company’s software and products by User. «Other agreements» Any other agreements and contracts that are concluded with Company and/or affiliated entities irrespective of this Agreement. All other terms and definitions throughout this Agreement shall be interpreted in sense of the Law of the Principality of Liechtenstein and in sense of commonly applicable regulations. Names of articles (provisions) throughout this Agreement serve for easy reference only and have no legal value. Terms and conditions set out in this Agreement, Privacy and Confidentiality Policy, and other rules and policies of Website are posted on our Website https://www.schalipharma.com/documents/privacy-en.pdf, and regulate use of Website, Services and Advice, Company’s software and products (hereinafter – System) by By entering System, User agrees with and had to follow present Terms. Use of Website, Services and Advice will be disabled, if User gives no consent to Terms. User accepts and agrees that Company is empowered to modify terms and conditions any time by posting new terms and conditions on Website. By continuing use of System, User accepts and agrees with new Terms. If Terms are posted or provided by Company in any other language than English, User agrees that translation from English serves for better understanding of rules for use of Services or Website only and English text of Terms prevails. User may and/or has to enter into other agreements for additional Service or purchase of products («Other agreements») to be provided by Company or affiliated entities. Company enables use of System by User in the way specified in Article 7 of this Agreement and in any other way enabled by System for User in accordance with this Agreement. Pursuant to this Agreement, User is empowered to use System within a certain time and on a certain area, where User may use System in fully. Company’s Products and statements on certain Company’s Products are intended neither for the purpose of therapy, nor of medical advice, but for informational purposes only. User is recommended to consult attending medical doctor or healthcare specialist before using Company’s products. 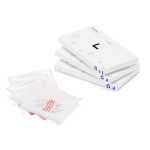 Information posted by Company on Website, Product’s label or package should not be considered as substitution of professional medical advice. On this Website, Company clearly warns User of self-healing and managing User’s health condition without professional medical advice. Information posted by Company on Website is not comprehensive and is intended neither for characteristics, nor for treatment of every disease, disorder, condition etc. Company also warns User of neglecting and postponing medical advice, after User have read information posted on Website. User has to read carefully information on Product’s label and package before using Product. Should User find any mismatch between information on product’s label or package and posted specification, User should contact Company (or Company’s regional representative) immediately and clarify product’s data, dosage and use before using them. User accepted online registration in System by tapping «Sign up» in the email that System automatically sent to User as confirmation. User has to log in on Website to get access to Service and Advice. Company is empowered any time and without prior notice to restrict use of certain Service or Advice for User or to make use of certain Service or Advice for User conditional and subject to other Terms that Company may introduce from time to time. Service and Advice (or any part of Service and Advice) may differ from region to region or from country to country and may also relate to type of User and terms of other agreements. Company provides no warranty that a certain Service or Advice or Service’s or Advice’s feature or function or upgrade to Service or Advice will be available to every User. Company is empowered to restrict, cancel or introduce different levels of access to and use of any Service and Advice (or any part of Service and Advice) for different Users. Company may constitute, modify, update, and introduce any Terms as well as Company may suspend or terminate any Service or Advice (or any part of Service or Advice) any time and without prior notice. Some Service and/or Advice may be provided by Company’s affiliated entities, also on behalf of Company. User has to sign up for getting access to or use of System. Unless otherwise agreed by Company, one User might sign up for one User’s account only. Company is empowered to terminate or delete User’s account, if Company reasonably suspects User of having signed up for or managing two or more User’s accounts. Company is empowered to reject User’s enquiry for online registration without explanation of reasons. While signing up through Website, User obtains User’s account, User’s identification number and has to create User’s password (all together to be referred to as User’s account data). Combination of User’s identification number and password is unique and individual and is intended just for one User’s account. Every User is held responsible for keeping User’s identification number and password confidential and safe in respect of entire actions undertaken from User’s account. User may not share with, transfer to or allow other persons to use User’s identification number or password. User is obliged to notify Company immediately on any case of unauthorised use of User’s password or account data or of any other violation of User’s account safety (notice of violated confidentiality). User agrees and accepts that Company may consider any actions undertaken from User's account (including, but not limited to, posting any information about Company or Products, entering into any other agreements or accepting rules, ordering and/or purchasing any Service, Advice and/or Products, sending emails through User’s given email address or phone number) as allowed by User and done by User solely. User realizes that unauthorised transfer of User’s account data to other person(s) or disposal of User’s account data by other users (multiple disposal) may harm Company and/or other User(s) of Website irreparably. User is obliged to hold Company and/or Company’s affiliated entities, management, employees, agents and representatives unharmed of any loss and expenditures (including, but not limited to, lost profit and/or lost revenue) that may arise due to multiple disposal of User’s account. User agrees and accepts that in case of multiple disposal of User’s account or if due to User’s fault, User’s account data are known to other person(s), Company is held responsible for no loss that may arise due to such violation and is empowered to terminate or delete User’s account without User’s consent. d) Using Service and Advice proper to User’s level in loyalty programme. e) Tracking history of purchases in terms of time, order, delivery, payment, earned bonus points, collected bonus points and spent bonus points in loyalty programme. f) Enjoying other options provided in System. g) Upgrading to next loyalty programme level and enjoying more Service and Advice in SCHALI® Personal Pharma. h) Enjoying other options provided in System. a) Making appointments with Healthcare Specialist for User in Health Control online office. e) Tracking history of your rewards for your active services and participation in SCHALI® Personal Pharma health care programme. d) Applying for remittance of collected rewards to your bank account. Transfer User’s account data to another person (s). User is obliged to use System carefully, follow local regulations and laws, personal law, rights and freedoms of third parties, ethical rules etc. User may apply neither techniques, nor tools that may endanger operation of System and that are not intended in common operation of System. Healthcare Specialist will study User’s Personal Profile (User’s personal information, diagnosis, anamnesis etc.) and set up a list of necessary laboratory tests that User will have to undergo in any medical institution or laboratory and submit to User’s attending medical doctor before starting SCHALI® Personal Pharma Health Care Programme. This list of necessary laboratory tests will be available to User in User’s Personal Profile under «Journal of lab tests results». Once User has uploaded User’s laboratory test results into Journal of lab tests results, SCHALI® Personal Pharma will compile User’s personal health care programme. Then User has to order and purchase Products. 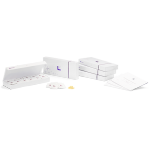 User may use Journal of lab tests results throughout entire membership in SCHALI® Personal Pharma. Healthcare Specialist will examine User’s Personal Profile and Journal of lab tests results and compile a current course of personal health care programme for User, specifying type of Products, method of use, dosage of main and supporting products for best therapeutic results. User’s data uploaded into Journal of lab tests results are constantly monitored and controlled for deviations. In case of any deviation, System will notify User on necessity of urgent medical advice. User has to upload data of recent laboratory results regularly. System will send regular reminders and notices on necessary updates to Journal of lab tests results. To be able of using System in the way specified in c. 7.1 above, User has to agree and accept processing of User’s personal information by Advice as set out in Article 10 below. Full-aged Users may attend SCHALI® Affiliate Rewards System Programme only. Participation in SCHALI® Affiliate Rewards System Programme is voluntary and may be terminated by Company or by User any time without giving the reason thereof. Company may terminate User’s participation in Rewards Programme by sending a notice of termination to User’s mail or email address specified by User in User’s Personal Profile. User may terminate participation in Rewards Programme by sending a notice of termination to Company’s email: support@schalipharma.com. User may act as principal User and recommend Products to other users and earn referral rewards for every purchase done by other users under recommendation of that principal User throughout User’s participation in Rewards Programme. Company is empowered to terminate any User’s account, if Company is aware of User’s fraud on purchase of Products, if User’s purchases are in dispute, if User applies unauthorised advertisement, if User obviously misuses Rewards Programme, also including, but not limited to, cases of signing up with more than one User’s account. Any misuse of Rewards Programme will result in immediate termination and withdrawal of entire collected rewards of that User. User is obliged to register User’s account for User’s name as a physical person or for enterprise’s name as a legal entity. No User’s account may be transferred or assigned. In the event of discontinuation of User’s account (death, bankruptcy, reorganisation etc. ), successors may contact Support for termination of User’s account. Rewards collected on such User’s account in discontinuation will be disposed in accordance with Terms of this Agreement. Pursuant to rules of ordering, rewards for valid orders placed in Referral System will be credited on User’s balance and available to User in User’s Personal Profile. In accordance with Terms, Company is empowered to cancel any orders placed on Website without giving the reason of cancellation. Company will trace execution of orders that are placed in accordance with rules of ordering and use information on those orders for the purpose of accounting, advertising, and rewarding. Information оn orders placed through Referral System in accordance with rules of ordering is available in User’s Personal Profile. a) If User is Distributor and intends to promote Company’s Products through SCHALI® Affiliate Rewards System Programme, Distributor may establish own network of partners and clients (hereinafter «Referral chain»), involving clinics, private doctors, pharmacies, trade representatives etc. Each partner or client has to recruit a new User (or directly an end-consumer) who purchases Products. Distributor has to register each partner under individual referral code in System. Distributor or Distributor’s partner may recruit a new User or an end-consumer directly. Each member of such referral chain will get a proper reward for each purchase of Products. b) If User is Medical Institution or Healthcare Specialist and intends to recommend Company’s Products and treatment methods of SCHALI® Personal Pharma Health Care Programme, Medical Institution or Healthcare Specialist may cooperate with Company in SCHALI® Affiliate Rewards System Programme and enjoy proper rewards. Medical Institution or Healthcare Specialist has to sign up through Website as a “Specialist” and create your unique referral code, transfer it to another User, having previously familiarized with the Products and methods of recovery. As soon as the purchase by this User is carried out, he will receive his rewards, as well as benefits when purchasing the Products for personal use or for his relatives. c) If User is professional Trader or simply a person, who wishes to share positive experience of using Company’s Products with relatives and friends, User may use SCHALI® Affiliate Rewards System Programme and get proper rewards. User has to sign up on Website and generate a unique referral code that User has to transfer to another User, registered as “Sales Representative”, to whom that principal User already has represented Products and health care programmes. As soon as a new referral User purchases Products, principal User gets referral rewards on the balance in Personal Profile. b) Such a new User, who may be a regular customer (hereinafter referred to as the "Consumer"), and / or the organization (hereinafter referred to as the "Organization") and / or the manufacturer (hereinafter "the Producer"), will purchase on the Site. Purchases are considered separate products for Consumers and / or Manufacturers. 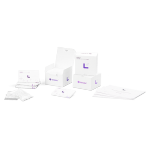 The reward is not charged to the sets with the presentation Products in the Order, recommended to the Consumer for the SCHALI® Personal Pharma health care Programme. c) The period of validity of registration of such a new User does not exceed 6 months. a) Type of User who purchases Products (Customer, Corporation, and Manufacturer). b) Position of User in referral chain. c) The maximum number of Users in the Referral chain receiving reward is determined by the Company with the Code Generator at the stage of agreeing on the terms of cooperation, but should not exceed 3 (three) Users standing one after the other, starting from the User making the purchase. In case of exceeding the specified number of Users in the Referral Chain, only those who are within the limits of the amount specified above will be rewarded. d) The less Users to end-consumer are, the higher reward they get. e) The reward is charged to the amount of the order placed by the Consumer, excluding the sets with presentation Products, and also minus the amount of the order paid by the bonus points under the Customer Loyalty Program. Company is not held responsible for actions of a new User during online registration, if this new User fails to enter principal User’s referral code, if this new User also creates own referral chain without principal User, who has recommended Products to the new User. Referral rewards will be credited to the User's Referral account only after the order of the Consumer receives the status " Completed ". Information on the status of the Referral account can be seen in the Personal Account of ​​the User, in a specially designed for the convenience of the report. It also contains data on the number of registrations of users who purchase and use the referral code of the relevant User, the total amount of purchased products, as well as the amount of rewards for the operations performed to purchase the products. Company is empowered to terminate SCHALI® Affiliate Rewards System Programme any time without prior notice to principal User. User who has a referral balance may select converting credited referral rewards into cash and remittance of cash to User’s bank account, if User sends a proper request on cash remittance to Company, where User specifies necessary User’s bank links, User’s taxpayer identification number etc. User is obliged to declare and pay taxes on every reward User gets paid back in cash from Company throughout SCHALI® Affiliate Rewards System Programme. User who wants to have referral balance paid back in cash has to define amount of remittance. Status of remittance (in process/completed) is traceable in User’s Personal Profile. Lowest amount of remittance is equal to 500 HUF. All transfers are made no more often than once a month, namely until the 19th day of the current month for the past reporting period. After User (who has a referral balance) has requested remittance of referral rewards in cash, User’s request on remittance will be processed, if User has accepted the latest edition of this Agreement, and referral balance will be debited for the amount of remittance. If User fails to accept the latest edition of this Agreement, referral balance will be not paid back in cash, until User has accepted the latest edition of this Agreement. Referral balance that has been not paid back in cash to User will be annulled, if this Agreement is terminated between User and Company. The user is solely responsible for fulfilling any tax liabilities associated with any fees that are transferred to his bank account. The Parties acknowledge, in accordance with the User Agreement under the SCHALI® Affiliate Rewards System Program, that all notices, messages, agreements, documents and letters sent using authorized e-mail addresses (e-mail) are deemed to be sent and signed by the Parties. The User acknowledges that all actions performed using the Credentials (including notification, messages and other actions provided by the System's functionality) are deemed to be committed by the User. 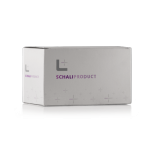 The authorized e-mail addresses of the Parties are: o for the Service: support@schalipharma.com; o for the User: the e-mail address specified by the User during Registration in the System. Company is empowered to modify Terms of this Agreement and/or terminate Rewards Programme any time. In this case, Company has to post notice of modification or notice of termination on Website in a country affected by such modification / termination, and/or on mobile Website, mobile application etc. Modifications may pertain new rules of calculation of referral rewards, distribution of referral rewards, remittance of referral rewards as well as Terms of Rewards Programme. If User disagrees with any modifications of Rewards Programme, User is free to discontinue Rewards Programme. If User continues to participate in Rewards Programme, it means that User has agreed with all and entire modifications. In the event of termination of Rewards Programme, no remittance of referral balance will follow and referral balance will be annulled. Company is empowered to terminate and delete any User’s account, if Company supposes, that User applies fraudulent practice within referral chain, resulting in purchases in dispute, defected or fraud products, unauthorised use of bank cards or bank accounts; that User applies spam (unauthorised emailing), illegible advertisement or misuses Rewards Programme, including, but not limited to, managing more than one User’s account. User is empowered to share information posted on Website, transfer User’s personal referral code through personal blogs or any other social media (Facebook, Twitter and Google +), if Users follows these Terms and Terms of those social media. User, who has an account in social media, may not use avatar or any other content that may be in any way associated with Company. Besides, User’s blog, website or pages in social media have no appearance / design similar to Website or contain no information that in whole or in part may be associated with Company, or use no Company’s proprietary name, trademark, logo, design etc. User may transfer User’s individual referral code through email or sms, if User warrants that User does not practice mailing and/or contributes to spam emailing and undesirable commercial emailing or in any other way violate the law of User’s country of residence. User is not empowered to purchase or use domain names or subdomain names that contain in whole or in part Company’s name or variations of Company’s name or misprinted Company’s name, or to use the above in User’s name or Group’s name or in identificator on internet websites. Information оn Products, Service, Advice and Company posted by User may contain no violent, defamatory, sexually explicit materials, proposals of illegal actions or propagate such actions. Website’s content may be used by User in accordance with provisions of this Agreement only. User may post no links to other websites and may not re-forward schalipharma.com’s traffic to other websites. User may modify no information on Products, Service, Advice and Company in advertisement materials. User is obliged to correct information on Products, Service, Advice and Company posted on User’s personal website, if Company has made modifications of above on Website. Any information Products, Service, Advice and Company posted by User should conform to information posted by Company on Website. User is not empowered to post on Websiteе, show or otherwise use links or information containing or in any way using harmful or dangerous code or application. User agrees, that Company will process User’s personal information that User has submitted during online registration in System and that User submits every time, when User uses System. User’s personal information processing means systemаtization, collection, storage, clarification (upgrade, modification), retrieve, use, transfer (propagation, distribution, access), depersonalization, locking, removal, deletion and other disposal of User’s personal information. User’s personal information is processed for the purpose of and in accordance with Privacy and Confidentiality Policy. To be able to get free access to and use System, User has to agree with and follow all currently valid laws and regulations, governing use of System. b) copy, replicate, download, collect or in any other way use content of Website for the purposes of business that may compete with Company’s business or in any other way use content of Website for commercial purposes. Use of content or data of Website for any other purpose except of that specified in Terms is not allowed. User is obliged to read carefully Company’s Privacy and Confidentiality Policy that regulates protection and use of User’s personal information known to Company and Company’s affiliated entities. User agrees with Terms of Privacy and Confidentiality Policy and accepts use of User’s personal information by Company in accordance with Privacy and Confidentiality Policy. User agrees not to practice actions that may endanger computer systems and Company’s and/or other users’ nets, and not to practice unauthorised access to these computer systems and/or nets. User agrees not to practice any actions that may endanger Company’s feedback system, such as feedback by another User’s identification number or by User’s second identification number. c) Address given by User during online registration is User’s / User’s enterprise registered address. User will provide true and full information on User, User’s enterprise, business or products/services for the purpose of signing up or using any Service or Advice or User’s account on Website. User will provide true and full information on User’s heath condition, diagnosis, anamnesis etc. requested in System throughout User’s membership SCHALI® Personal Pharma Health Care Programme. b) User will regularly update and modify User’s personal information and data to represent them always true, explicit, valid and full. f) does not contain direct or indirect links to other websites, which content may violate Terms. g) User will not copy, replicate, arrogate or misappropriate Company's catalogues, database, lists etc. j) User will not participate in events that may lead to legal responsibility of Company or Company’s affiliated entities. User may use neither System, nor User’s account for the purposes of any business that may be similar to that of Company’s Website – ecommerce. User will provide any necessary information, data and confirmation, and assist and cooperate, where it is necessary for evaluation of violation of Terms and / or processing other User’s claims by Company. If User fails to fulfil this requirement and that failure is resulted in delay, suspend or cancellation of Company’s Service, Company is not obliged to prolong terms of that Service and is not held responsible for any loss or damage arisen out of such delay, suspend or cancellation. User is held responsible for violating laws and regulations (including laws of User’s country of residence), pertaining use of System. Company is empowered to terminate, modify or decline any time any User’s content that User has uploaded or displayed on Websiteе, if Company reasonably supposes that that User’s content is illegal, violating Terms, and may lead to legal responsibility of Company or Company’s affiliated entities, or that is inappropriate to Company. e) take other necessary measures of correction, influence or impose fines, as Company will decide solely. d) Company reasonably supposes that User’s actions may cause loss or lead to financial responsibility of Company and/or Company’s affiliated entities or other Users. Company will cooperate with competent authorities, private detectives and/or injured parties in investigation of cases of crime or civil offence. Besides, Company may disclose User’s personal information and contact data, if required by law, on demand of local authorities or of enforcement authorities or of injured parties or by summons or by court to do so. Company is not held responsible for loss that may arise out of or as outcome of such investigation. User is obliged not to undertake any actions or raise complaints against Company for such investigation. User is obliged to hold Company, Company’s affiliated entities, management, employees, agents and representatives unharmed of any loss, expenditures, claims and obligations (including, but not limited to, court and legal fees etc.) that may arise due to presentation, post, display of User’s content or due to User’s incorrect use of Website or Service, or Terms violated by User. User agrees that Company will be not held responsible for any User’s content or any other data posted by User on Website, including false, faked, misleading, incorrect, libellous, unauthorised or illegal data, and that solely User will be held responsible for any damage or legal consequences arisen out of such incorrect User’s content. Company is empowered to take any measures to protect and control any User’s transactions, and User has to cooperate with Company and to allow Company taking appropriate measures. Company is not held responsible for Medical Institution’s or Healthcare Specialist’s or any third parties’ failure to perform or for incorrect performance of obligations towards User or any other person defined by User. Company is not held responsible for quality of their advice. Should User wish to claim on quality of advice rendered by Medical Institution, Healthcare Specialist or any third party, User should raise complaints against those institutions directly. To be able of using System properly, User has to operate a communication device (PC or mobile phone or similar) that is capable of internet connection. User has to arrange an operable communication device (PC or mobile phone or similar) and availability of internet connection on User’s communication device. Company provides no warranty that System conforms to User’s device characteristics, that access to System is fast, continuous, smooth, safe and uninterrupted. System and software are provided “as is”. Use of System is at User’s risk only. No service and no internet providers, which nets are used to enter System, no Company’s affiliated entities, no agents provide any warranty in respect of System. Hard- and software mistakes that may disable User’s access to System shall be considered as Force majeure and shall release Company of any responsibility for failure of Service in sense of this Agreement. All disputes, differences and claims that may arise out of this Agreement, its performance, termination and annulment, will be handled by the Parties amicably. Claiming Party has to notify another Party, as it is set out in c. 16.2 below. Such notice of claim shall explain subject of claim and reasons thereof. Defending Party has to response to the notice of claim within 30 business days. Should no response follow within the time specified in c. 14.3 above, or should the Parties fail to meet an agreement on the dispute/claim, the matter should be submitted to a competent court in the country of Company. Company is empowered to modify Terms of this Agreement unilaterally. New edition of this Agreement may be posted in System or sent to User, as specified in c. 16.2 below. User is obliged to read carefully every new edition of Agreement. By continuing use of System, User agrees with Terms of a new edition of Agreement. Should User disagree with Terms of a new edition of Agreement, User should first terminate Agreement by sending a notice of termination to Company, once User had logged in and before User started to use System functions. The Parties agree to use email messages for communication throughout performance (modification, supplementation, termination) of this Agreement. The Parties agree that all notices, messages, agreements, documents and letters sent to the Parties’ registered email addresses are considered as signed and sent by authorised persons of the Parties. User accepts that all actions done with use of User’s personal information and User’s account data (including notices, messages etc. and other actions enabled in System) will be considered as done by User only. User’s email: email address given by User during online registration in System. The Parties are obliged to keep confidentiality of entire data and information necessary for access to registered email addresses. No confidential information on email addresses may be disclosed to third parties. The Parties will define measures to protect such confidential information from disclosure. If registered email addresses of the Parties are used for correspondence, all actions and documents done and sent from such one Party’s registered email address to another Party, even in case of unauthorised access to the registered email address, shall be considered as done and sent by the Party, until another Party has received a notice of violated confidentiality (unauthorised access). If no notice of violated confidentiality (unauthorised access) follows, sending Party will be held responsible for all the data sent from Party’s registered email address and their consequences. User is obliged to keep confidentiality of User’s account data, do not disclose and do not transfer them to third parties. User shall define measures to protect User’s confidential information. All actions and messages sent, posted or uploaded from User’s Personal Profile should be considered as sent by User solely, until User notified Company on violated confidentiality in case of unauthorised access to User’s Personal Profile. If a provision of this Agreement is or becomes illegal, invalid or unenforceable in any jurisdiction, the reminder of this Agreement shall still apply. In matters not regulated by this Agreement, the Law of the Principality of Liechtenstein shall be applied. User confirms to have carefully read all provisions of this Agreement, clearly understands and accepts this Agreement.